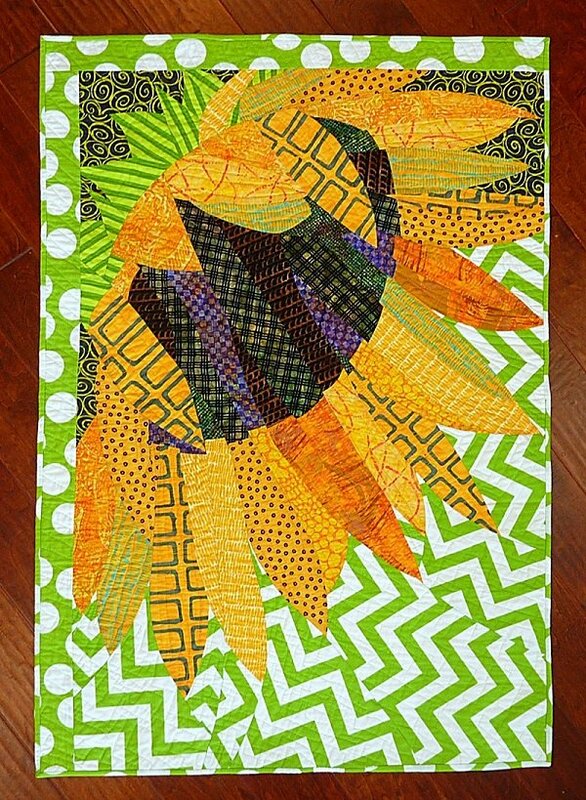 Summer’s Smile, Helianthus is the first offering in my new “Artisan Collection” of patterns. These patterns are for experienced quilters and feature curved seams designs and more detailed piecing. Summer brings the most amazing flowers. Among my favorites are Sunflowers. They seem unlikely as blossoms, with enormous discs of seeds and vibrant petals. Its as if they are Summer’s Smiles! Based on the design and piecing techniques of Ruth McDowell, this pattern design takes traditional patchwork a step further through the use of unexpected fabric choices.